A love for the land. A love for the hunt. And a love for each other. Crush with Lee & Tiffany brings you inside the Lakosky’s home, travels and hearts for a fun journey behind the guts and glory of the outdoor industry. As the popular TV hosts of Outdoor Channel’s top-rated, award-winning Crush with Lee & Tiffany, Lee and Tiffany Lakosky have blazed a trail within the outdoor industry proving that hard work, perseverance, dedication and skill can accomplish anything. 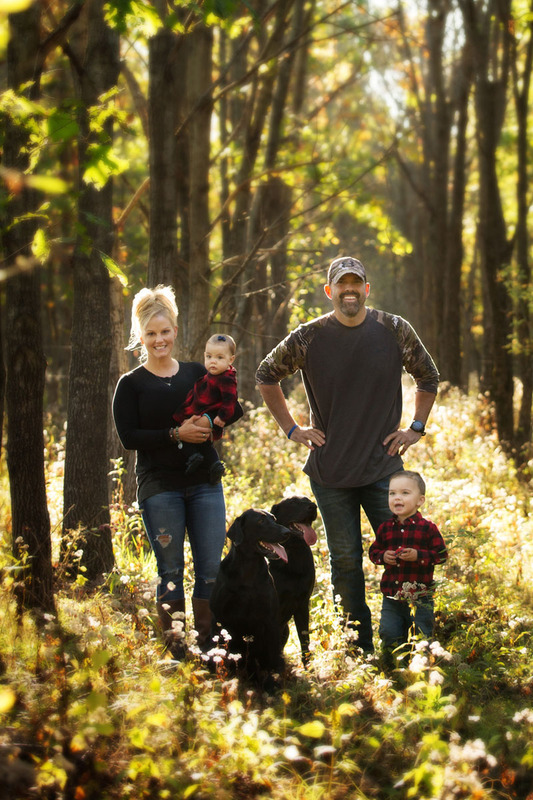 Together with their children, Cameron Lee Lakosky and Raygen Joan Lakosky, their Labrador Retrievers, Tanker & Mattie May and a revolving roster of family and friends, the duo have figured out the formula for crushing some of the biggest game there is. It all began with love at first “shot”. As an airline attendant, Tiffany got to see the world, but longed to take her love of the outdoors to the next level. When she wanted to try archery, she turned to Lee, who was following his passion and working at an archery shop as well as pursuing a career as a chemical engineer. As it turns out, Tiffany was a natural with a bow, which prompted Lee to combine his two pursuits and after getting married in 2003, they moved to Iowa to begin their land management and whitetail dreams. If luck is a combination of hard work and opportunity, then Lee and Tiffany have found it. Through blood, sweat and tears they worked day and night to establish their farms and strict whitetail management program. “Let them go, Let them grow” is a phrase they have learned to live by and is quickly becoming a household hunting term. As Lee believes: “To get a great buck, you have to pass on a really good buck. It’s not about the size of a buck’s rack, but rather the age of the deer when it comes to managing your herd.” When record-breaking bucks started falling, you could hear Tiffany’s celebratory “Yeeesss!” from across the farm, and the hunting industry took notice. Lee and Tiffany hosted a reality based hunting show called Gettin’ Close which was a big hit with viewers and quickly rose to the top of the Outdoor Channel’s ratings. To stay fresh and current with the changing television landscape, they launched the new series Crush with Lee & Tiffany in 2008. The content was reformatted to an even more exciting, edgy and fun programming genre that a broad demographic can enjoy, and one that sponsors find fitting for their brand. Whether you watch them on Crush, or have the good fortune of attending one of their events and meeting them in person, Lee and Tiffany Lakosky not only capture some of the best game, but the hearts of all generations. They’re the real deal, and they’re just getting started. Stay tuned!